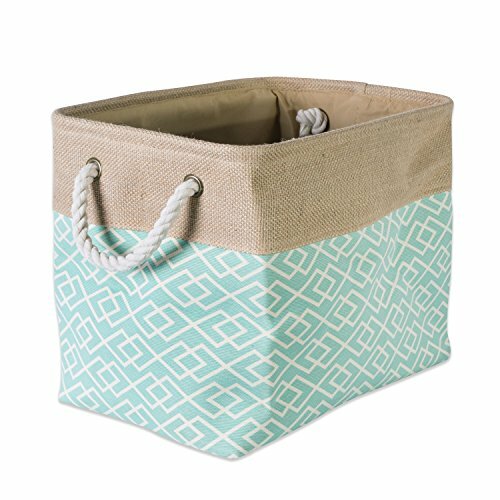 Polyester storage bins are a fun and creative way to organize and store toys, clothes, blankets, towels, books, knick knacks and more. Tired of clutter in the kids room, living room, or laundry room? These storage containers could be the perfect solution to organize the clutter while enhancing your home’s décor. These trendy bins have become very popular due to their simple yet chic look and dependability. Sturdily constructed these storage bins are up to the task of being carried to-and-fro, used to transport groceries, laundry, or household goods these bins will handle it. The material and construction offers a long lasting bin that you can use over and over again. Get creative with fun designs and colors that are easy to mix and match with an assortment of sizes, colors, and patterns. Bring color and interest to a dull room with vibrant hues and a sophisticated look while also adding functionality. These trendy bins have become very popular due to their simple yet chic look, versatility, and dependability. Built to last these bins are reinforced with an O-ring and cardboard bottom to give shape and structure, simply collapse bin and store when not in use. Sturdy cotton rope handles make for easy and comfortable transporting and the cardboard bottom retains shape after each use. The material and construction provides a long lasting bin that you can use over and over again. To view our entire selection of storage options search: DII Storage or visit our brand page at amazon.com/dii for a full range of products.